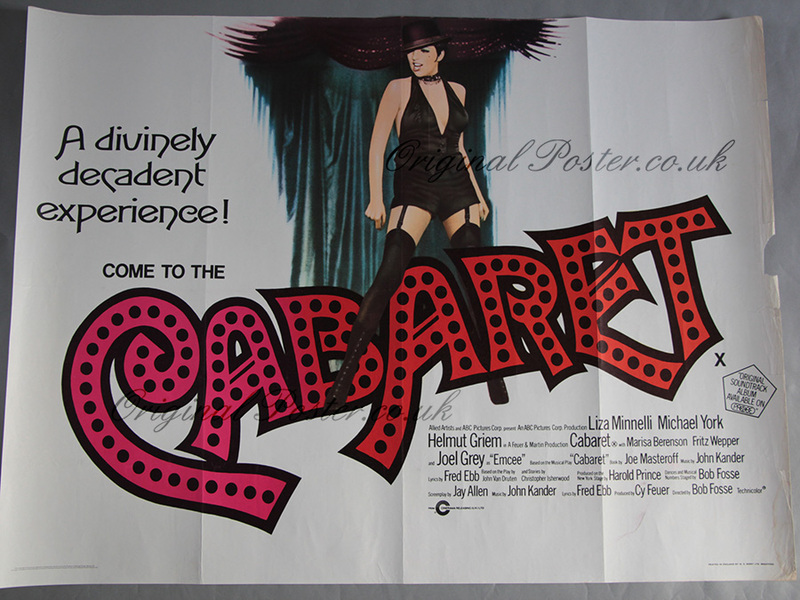 Details This vintage cinema used Cabaret British Quad film poster has a stunning image of Liza Minelli stood astride the impressive title typography. Printed in England by W E Berry of Bradford. Vibrant colours and good paper quality with just a little paper-loss and water stain at the right border edge which would easily frame out.